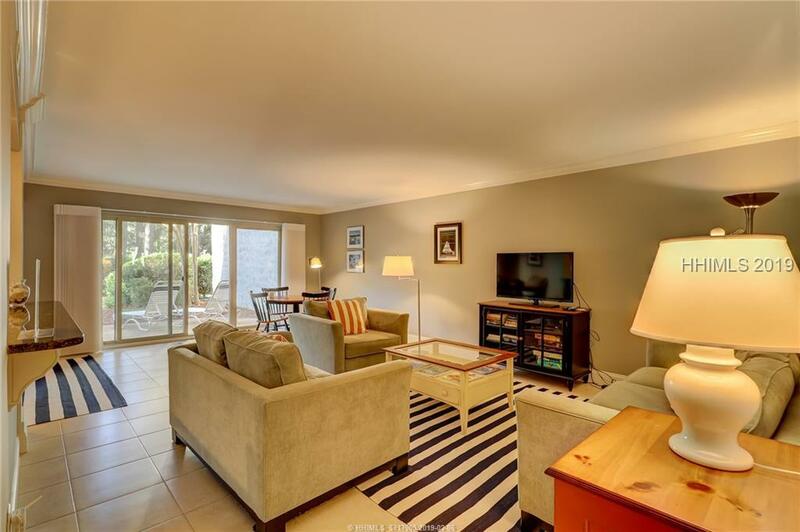 Beautifully updated and crisp first floor 3 bedroom Bluff Villa located in the building closest to the marina! Villa has been updated with crown molding, a new kitchen with granite and stainless, and tile backsplash, tile flooring, baths updated, all ceilings smoothed, entire villa just painted. Decorator furnishings. Large private patio. Great rental history. Easy walk to the marina and the beach! Only 3 bedroom on the market!